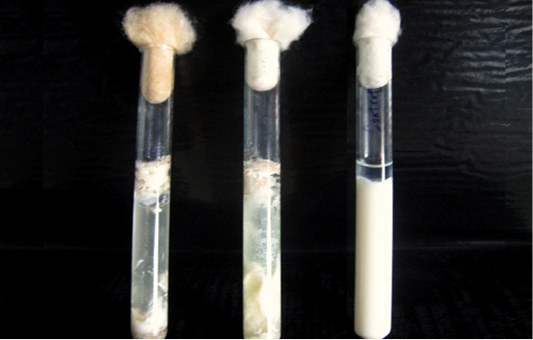 Milk medium showing the classical stormy clot reaction of C. perfringens.The tube on the left extreme is uninoculated. 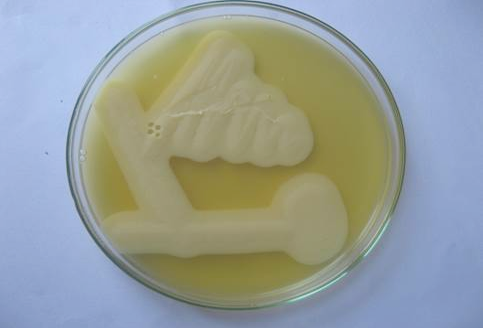 Lecithinase activity of C. perfringens in egg yolk agar after 24 hours of growth. Streaks showing opalescence production around C. perfringens. Agarose gel electrophoresis showing 775 bp amplicon of alpha toxin gene of C. perfringens. 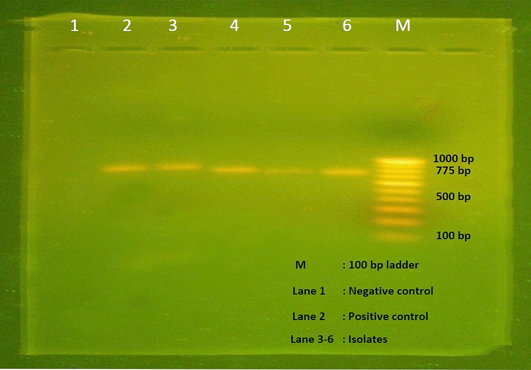 Lane M- 100 bp DNA ladder, Lane 1- Negative control, Lane 2- Positive control, Lane 3-6 – Isolates positive for C. perfringens. 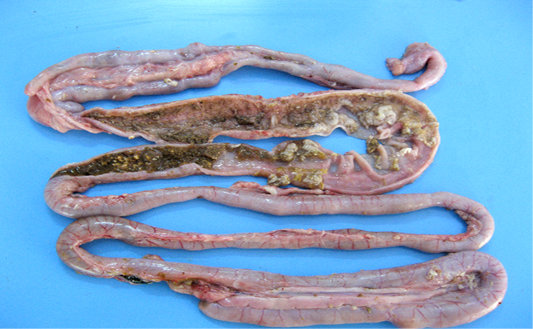 Intestinal mucosa showing diffuse necrosis and pseudomembrane which forming a dirty turkey towel appearance.